Get the retro look with faded colours, vintage effects and old‑fashioned imperfections. Anyone who likes vintage Photoshop effects (and going by the success of Instagram, that’s just about everyone) will find plenty to enjoy in Analog Efex Pro. There’s a whole host of film-inspired imperfections like light leaks, dust and scratches, messy borders, vignettes and blur effects. Open an image in Photoshop. Right-click the layer and choose Convert To Smart Object. Go to Filter > Nik Collection > Analog Efex Pro 2. Click OK when the warning shows. Click Classic Camera then experiment with the tool combinations, each of which opens up several presets to play with. 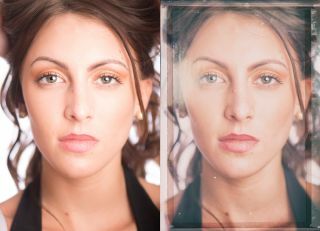 Once you’ve chosen a preset – we picked Vintage Camera 3 here – you can fine-tune the settings on the right. You can also turn off any parts of the effect you dislike by clicking the ticks. We’ve toned down Detail Extraction here. Double-click any individual slider to reset it. Click the top-left button again to access the tools and combinations. Click Camera Kit. This shows all the tools on the left. You can click the plus sign next to any to add them in and enhance your image. We’ve added Dust and Scratches, then tweaked the positioning. Once done, click OK.